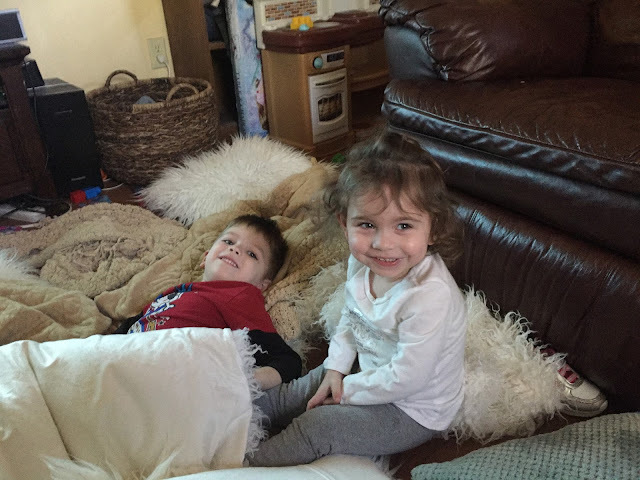 Oh Whoops how did my grand-babies get in here...ha ha aren't they cute! I finally got my first delivery. I was pretty excited. Except that somehow I found out my plugs and neck ring did not get in the order. Ooops. Well that's ok, I will order them when the painting is almost done. I needed more for my second and third dolls anyhow. I inspected every thing as some of my tutorials showed. 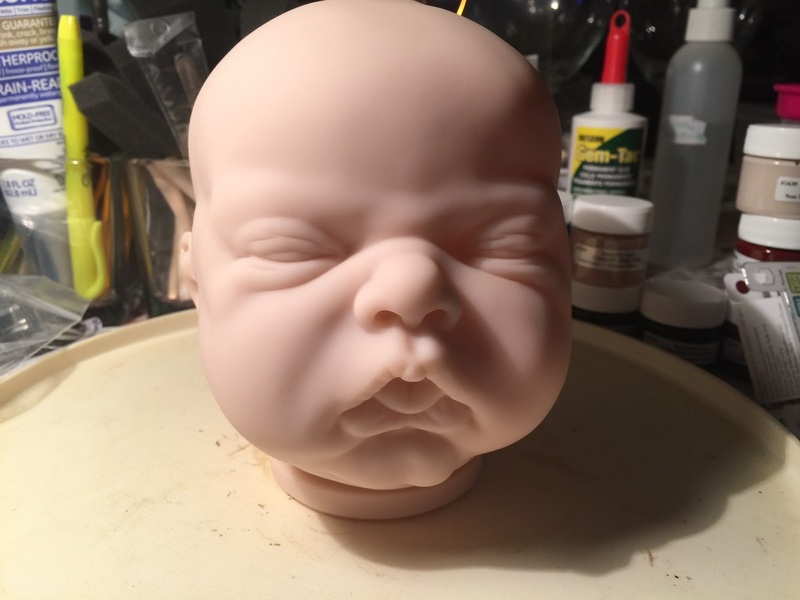 Celeste Sculpt from Bountiful Baby (Head With No Paint)...She is so sweet! My Celeste kit's head has weird indents on the side of her temples. I will probably have to call for a new one unless that is how she is designed. I will have to check other people's version of Celeste. I think her mouth will be tricky to get a pacifier to stay. The magnet will probably have to go in higher than lower due to her strange lips. After checking I can see others have the same weird newborn indentation. I will call it a side effect of the skull plates not fully formed in the newborn. It feels daunting when you start the process of designing your future reborn. I feel like I almost need to put together a page to tell me what is the baby going to look like, where is it born, what kind of clothing should i buy for it, what kind of toys will i buy for it, will i include a pacifier or bottle with it. There is so much planning to do. Will my reborn have a belly plate. I am not sure about that yet. After all she will be my first baby. Then I have to remember all the layers of painting. And find my paint thinner. I know I have a full thing of it somewhere. Then how do I wash this baby. There are so many small things to think about. For example should I have dewy skin on my first baby. I might just order some of that or make my own. I do have some oil painting mediums I wonder if those would work but don't worry I won't do it until I check. Otherwise I will order some dewy skin medium. I am thinking she should have this little outfit for sure plus one beautiful little dress too. I have already been scouting out beautiful clothing. I think I will give Celeste a baptismal gown or formal gown plus a layette. This would include 1 bottle, 1 pacifier, 1 toy, 1 blanket, 1 bib, 1 hair clip or bow. Not sure if she needs anything else. Perhaps a onesie or t-shirt. Definitely the baby needs a brush and comb, sample hair styling fluid and some powder. Maybe a diaper or two. I just think the coral tones will look so great with her lifelike skin. I am going to order it today and keep my eyes peeled for a dress for her. I already picked up frilly little socks to go along with her fancy dress but I got two styles so which ones she goes home with depends on the dress. I have a good eye for those things since I owned a fashion boutique until about a year ago. Now look she is already trying her socks on. Silly little baby. She needs to wait til it's time to go! But she can barely wait! She is wondering who will be her new family! I can't wait until she is finished so I can get her all dressed up! Yay! It was my daughters 26th birthday tonight. We had so much fun. It was a tiny home party but we laughed a lot, had sandwiches, chips and dip, cheese and crackers, a lot of Pink Moscato wine (I rarely drink but had a glass for the first time in forever), a really chocolatey cake and vanilla ice cream. We then watched Trolls (the movie) which we laughed and laughed about. It was great. I really hope she has a beautiful year! P.S. How do you like my new kitchen color. It's so pretty and sort of beachy robin's egg blue....It used to be angel cake, a buttery yellow. I just got done painting the majority of it the day before.